Happy Thanksgiving everyone. I hope that you all have a wonderful day getting stuffed with stuffing (my favorite) turkey, pies etc etc etc. Here is what I did this week. 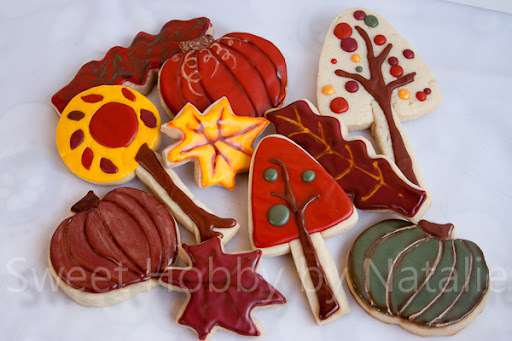 I made the cookies for the winner of the drawing I had a few weeks ago of fall cookies. Congrats Brittany! 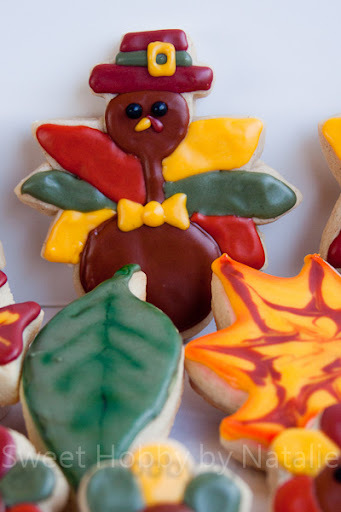 Then I did a few thanksgiving cookies for my husbands family Thanksgiving gathering. 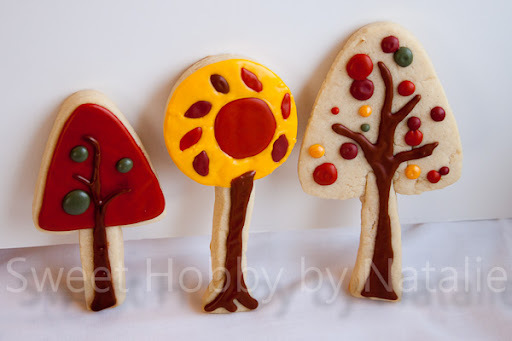 I tried some airbrushing on these cookies. I got the airbrush a month ago but just have not had the time to play with it. 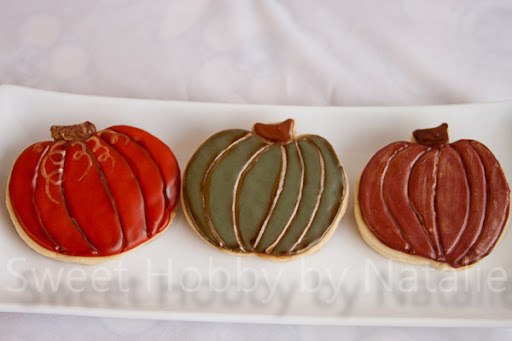 These next cookies look just like the ones I did for cookie con but with different colors. 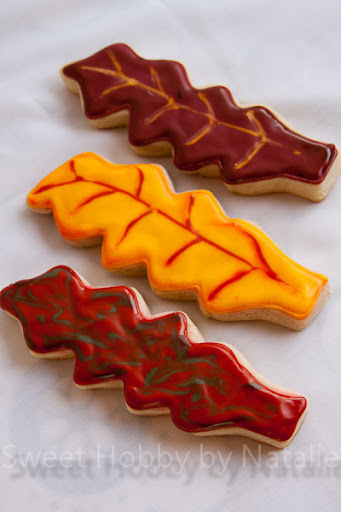 And these are the cookies that we are going to enjoy today! 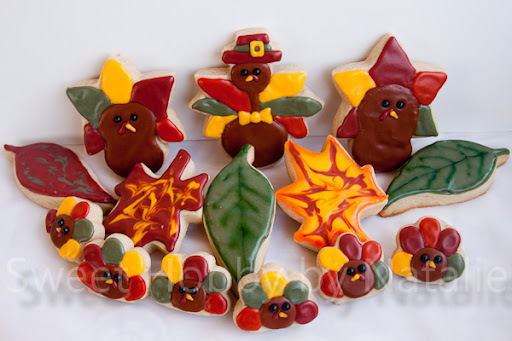 I was totally inspired by Lilaloa and Sugarbelle on the turkeys. I love those ladies! In fact I got to meet Callye of Sugarbelle at Cookie Con.... see pic below. 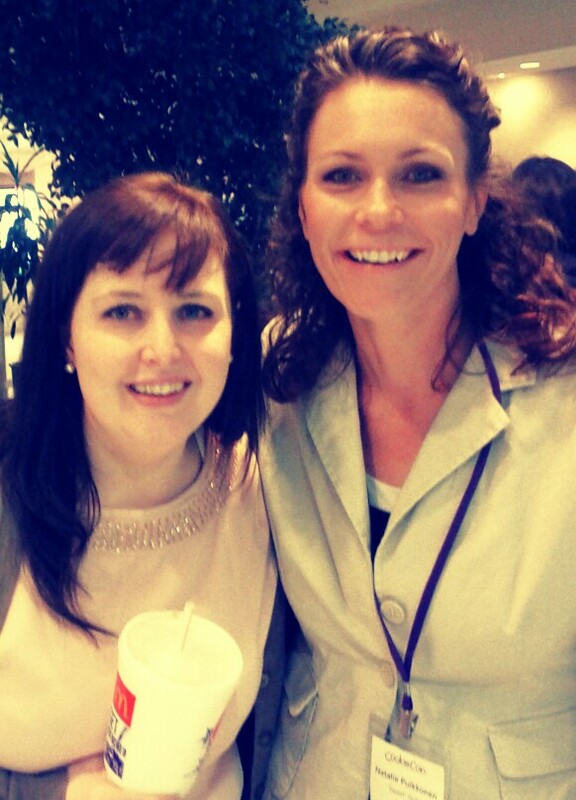 I would love to meet Georgeanne of Lila Loa but she lives in Korea, she sure is one talented woman. You went to Cookie Con? You rock. BTW, love these cookies. So classy looking.